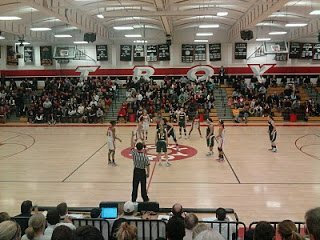 Southern Section Division 1A’s top two teams – the Edison Chargers and Troy Warriors – faced off at on Troy’s home court in Fullerton tonight. Edison came into the game with a 19-2 record, with losses to Cajon and La Jolla Country Day. Troy had a 20-2 record entering the game, with losses to Long Beach Poly and Spring Valley of South Carolina. Both teams have very solid starting teams. 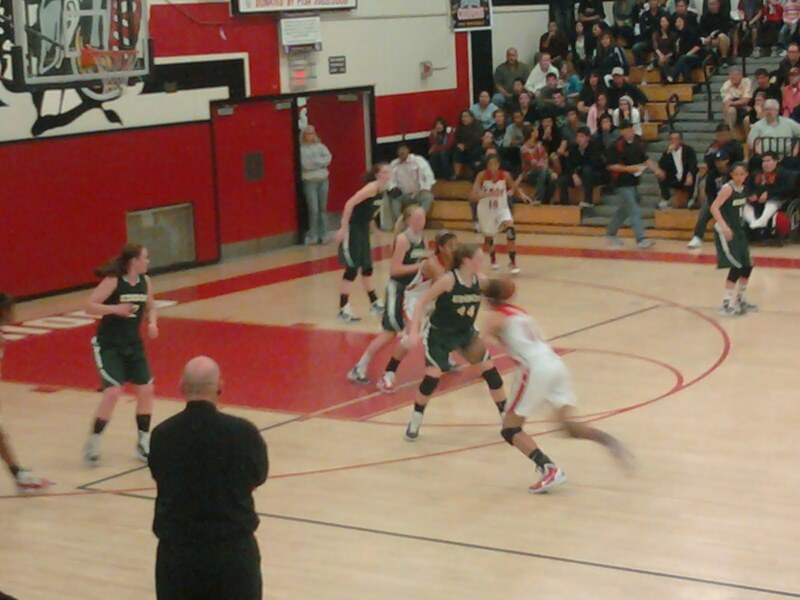 Edison was led by Bonnie Samuelson, who has signed with Stanford, who put up 17 points. Her sister Karlie Samuelson, a sophomore guard, scored 12 points. Troy was led by sophomore stars Gabriella Hanson, with nine points, and Briana Roberson with 13 points. The game was back and forth, with Edison holding a small lead for most of the game. Troy had enough scoring chances, but their shots wouldn’t fall, and eventually Edison pulled away in the fourth quarter for the 46-32 win. For Troy, their only scoring in the second half came from Roberson and Hanson, as the other players were ice cold. 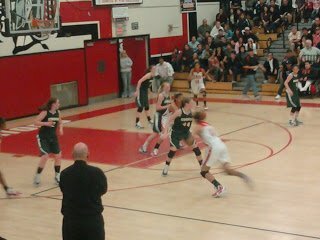 I would expect both teams to face off again in the Southern Section CIF 1A finals. Sue’s note: It looks like the Powerade Fab 50 needs to be reworked due to this upset. Troy was listed 25th last week and Edison, who has been ranked before this year, isn’t even on the list. A good crowd was on hand for tonight’s game, seen here at tipoff. 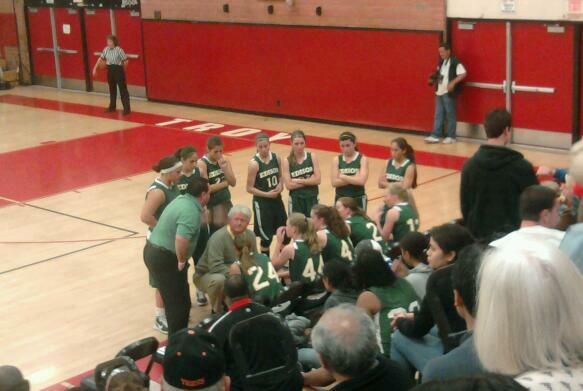 Edison Coach Dan Wiley conducts a timeout. The Samuelson sisters are #44 Karlie and #41 Bonnie. Troy coach Roger Anderson watches his team run a play.